Ever pray and then wonder if it were going to do any good? Ever knelt down and bowed your head, but felt disconnected, as if your prayers were just drifting off into the ether? Ever had prayers go without an answer of any kind? This is an interesting dynamic, really. Most of the time, we have no trouble accepting that the Bible is true—that it’s God-breathed, that it’s the Word of Life. Then we turn around and question what the Bible says about prayer. We might not see it that way, yet that’s what happens when we doubt the strength or usefulness of our prayer life. Make no mistake. Our prayers are powerful not because of anything we do or who we are. Remember, we’re just the fuse. It’s because of who He is and what He can do. Therefore, we can approach Him with an honest, upright, and believing heart. Then God is eager to respond, doing what only He can. No mincing words there. We need to drop the doubting of what we’re doing when we kneel before the God of all creation. Quit questioning the effectiveness of presenting our requests to Him. Earnestly seek His will for your life, His wisdom for your mind, and His love to fill your heart. He delights in answering you. He is all about His glory. 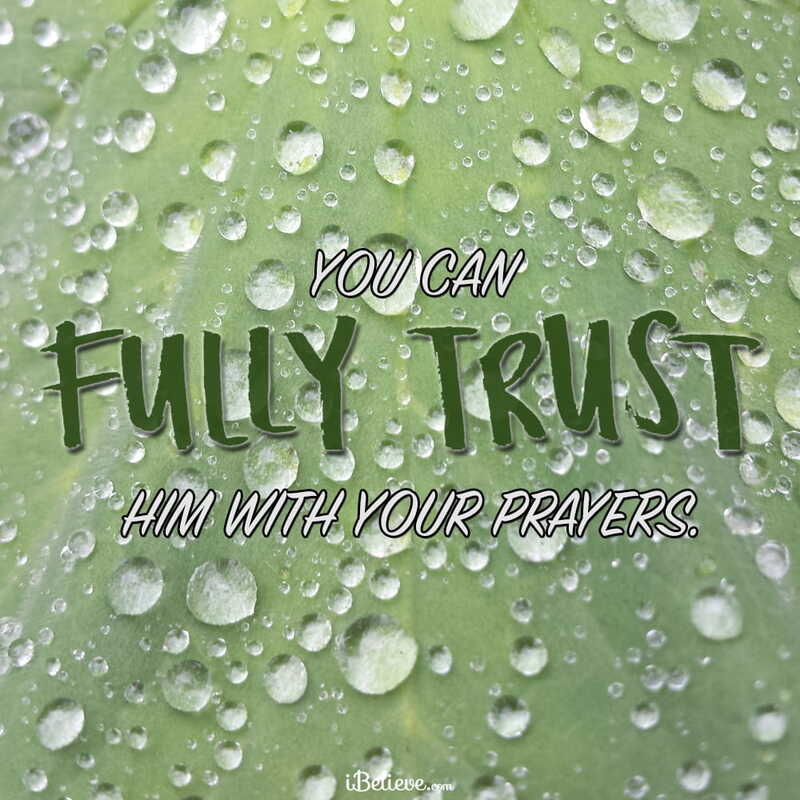 You can fully trust Him with your prayers, as you also trust the truth of His character, purposes, and promises. Lord, thank you that you are always faithful and true, and that your steadfast love never ceases. Thank you that prayer is powerful and effective, and that even when we doubt, you still hear our prayers and act on our behalf. Lord, I confess that sometimes I doubt. Sometimes I’m not sure if my prayers are really effective or if you hear me. So Lord, I ask you would embolden my faith. Help me have confidence that you will always be there for me and will never leave or forsake me. Thank you for your tender love for me. In Jesus’ Name, Amen. Editor’s Note: The following is an abridged version of The Body Tithe Devotional by Matthew Pryor. To read the full article follow this link.